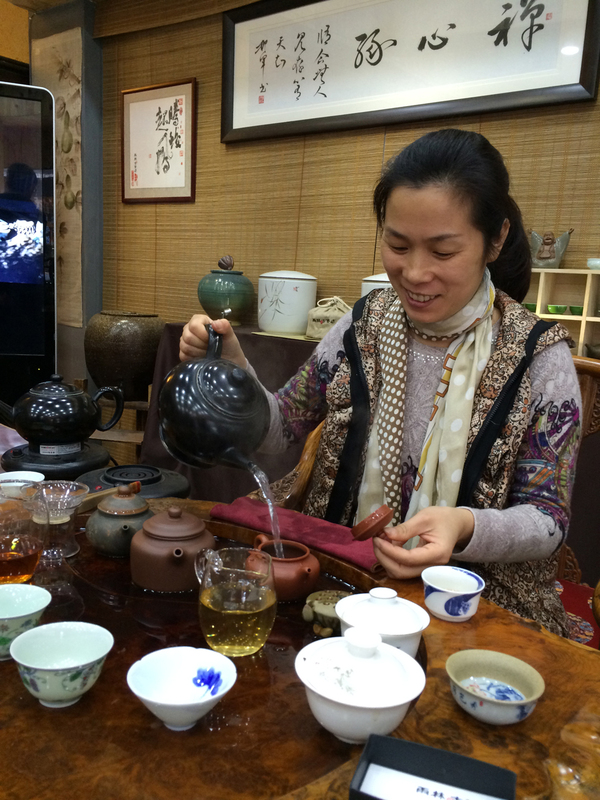 My friend and I visited a new Puer tea vendor. 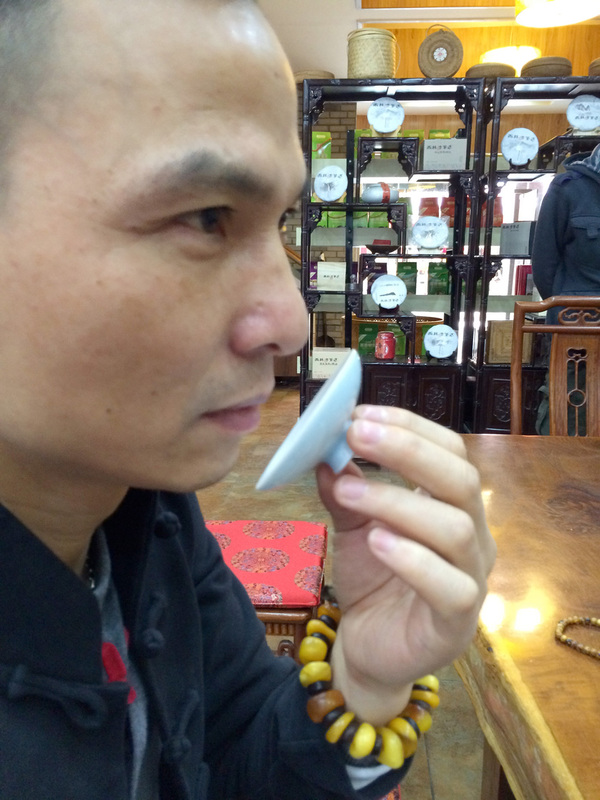 I was told the average 357g Puer tea cake here costs $2500 USD. 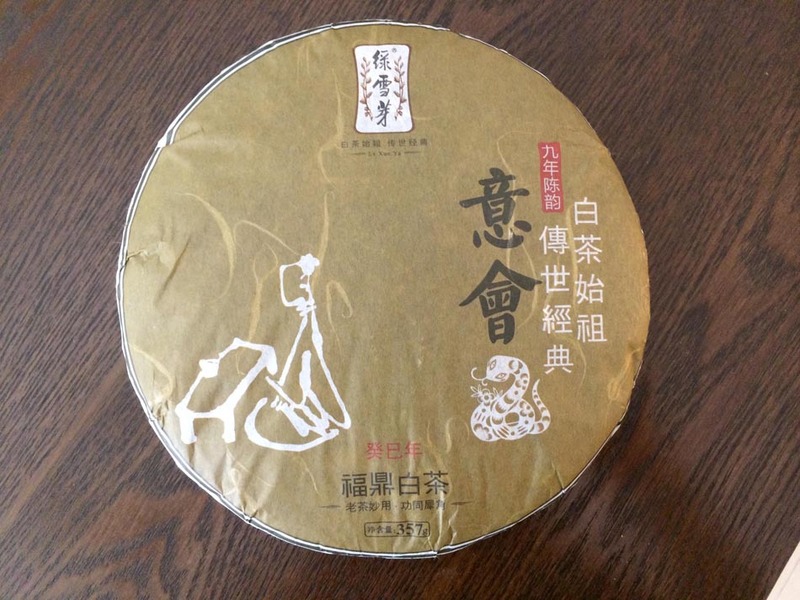 This price is for relatively young Puer (tea which hasn’t been aged for a long time.) The owner gave us a very extensive tasting. 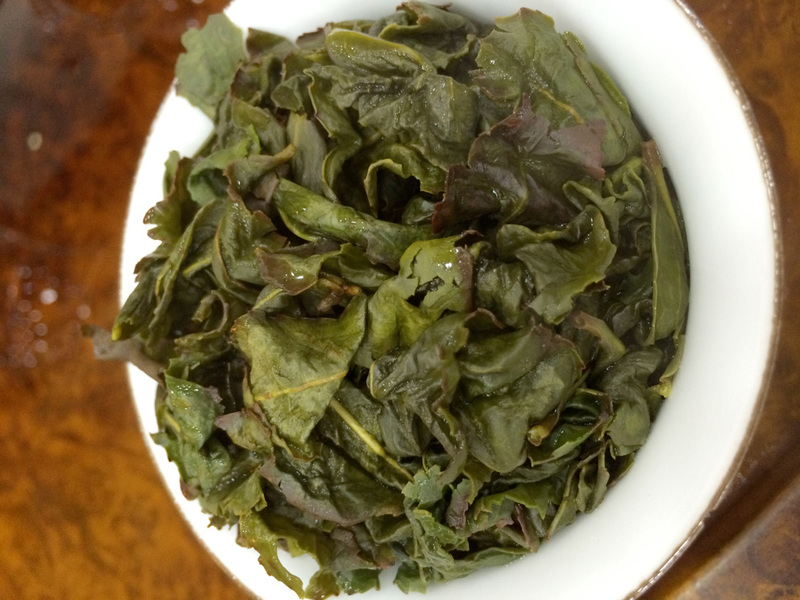 I tried their aged Te Guan Yin ( Iron Buddah.) 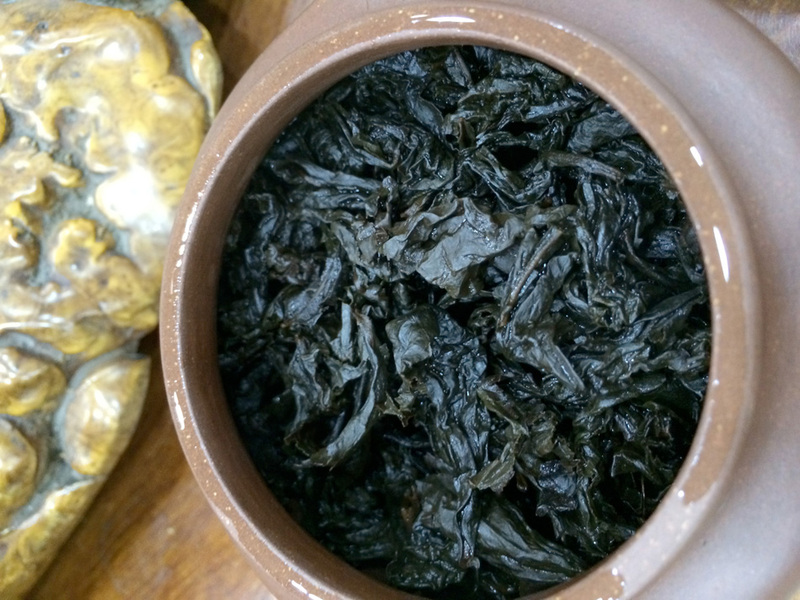 This tea costs $250 USD per oz in retail. It very nice in the throat and sweet in the mouth. 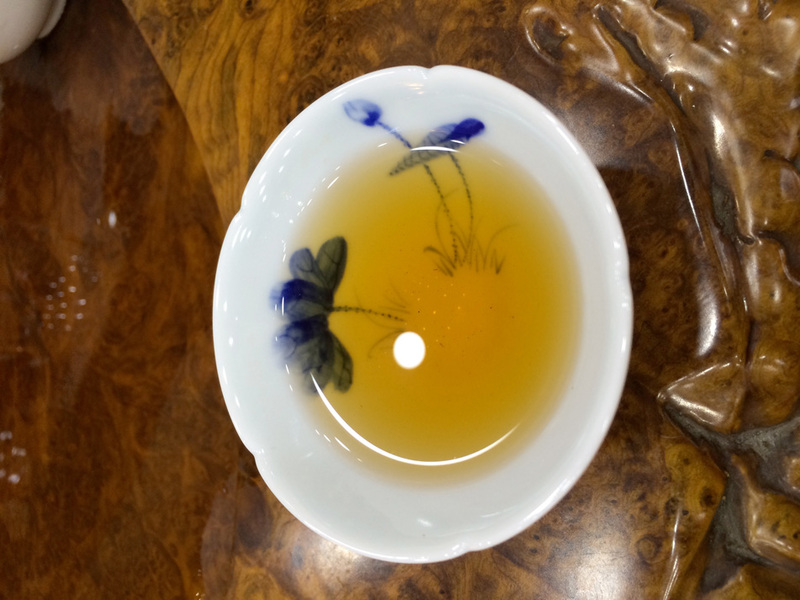 After that we tried the new white tea and ten-year-old white tea. Both teas tasted so sweet with an elegant flavor. The sweetness lasts for a long, long time –even 2 to 3 hours later. My stomach felt light even though I drank so much tea. We ended up running out of time. 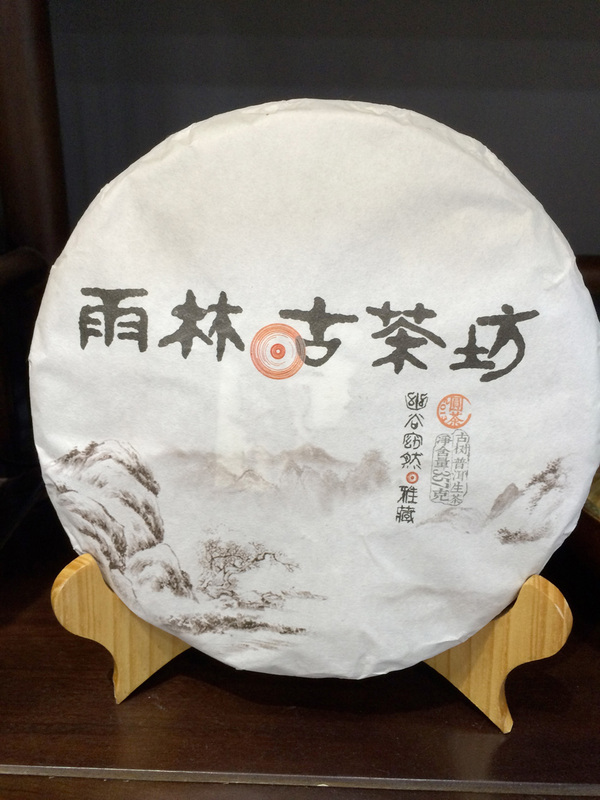 I did not have time to try their Puer! April 1, 2014 | Filed under Uncategorized.